THE World Health Organisation (WHO) is pulling out all the stops in its effort to turn public opinion against the tobacco industry. This reminds me of an oft-used trope in modern conspiracy theories: that of the puppet-master behind the scenes controlling world affairs, or in this case popular opinion. The WHO’s launch of monitoring centres in cities worldwide, tasked with unmasking the tobacco industry’s attempts to “interfere” with public health policy, uses an image of a puppet-master as its promotional material. “These units are the watchtowers of the public health movement, helping us see the tobacco-control landscape in greater detail,” said Dr Vera da Costa e Silva of the WHO’s Framework Convention on Tobacco Control Secretariat. She announced the monitoring centres in Rio de Janeiro to much pomp and circumstance in March, foreshadowing the opening of dozens more in the coming months — and those that will focus on much more than just the tobacco industry. “They will communicate with professionals at the national level, but they also have an international function in communicating with one another to create a global tapestry describing the behaviour of the tobacco industry across continents,” she proclaimed. The Brazilian Observatory at Fundação Oswaldo Cruz, the first of these centres, has set its sights on the tobacco industry in that country. 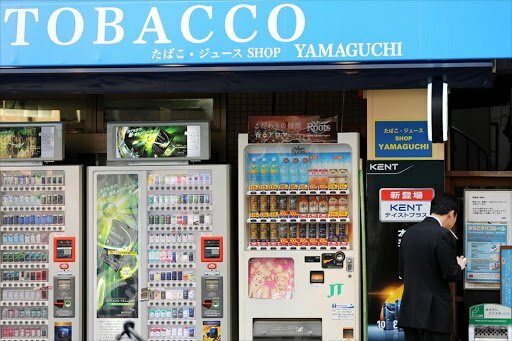 “The tobacco industry requires constant monitoring of its power and restrictive legal treatment because it brings no social or economic benefit to the country,” said Silvana Turci, a researcher at the centre. The tobacco industry is not the only target, as this first monitoring centre will also focus on the sugar and fat industries. The observatory’s website says other industries, including soft drinks, will be monitored, as “there are undeniable similarities” in how they “undermine public policies”. The WHO is making this a top priority in its aim to monitor international public health. “We must understand the ways in which the industry does this. How does it operate — what is its strategy and what are its tactics? How far is it willing to go? And does it operate different approaches in different parts of the world?” asked Da Costa e Silva. The monitoring centres aim to create “wiki” systems to track and disseminate the information gathered from their campaigns. An example was put together by the Tobacco Control Research Group at the University of Bath, calling attention to individuals and institutions “promoting a pro-tobacco agenda”. Such efforts are being funded to implement the WHO Framework Convention on Tobacco Control, agreed by the conference of the parties (COP) held in Moscow in October 2014. Practically all countries were represented, and it remains closed only to participating parties and select governmental and nongovernmental organisations. The next COP is set to take place in New Delhi in November, where the next level of global tobacco regulation is due to be agreed on. The goal of the conference is to advance the “work of the WHO framework convention, strengthening the global battle against the devastating consequences of tobacco use”, according to the website. Actions taken within this forum are not subject to democratic appraisal, and have generally bypassed national legislatures. There is no mechanism by which to challenge the outcomes of the COP’s agreement. That is a troubling trend for democracy and the rule of law. In the meantime, the WHO will continue investing in monitoring centres to counteract the “darkness” of sin industries such as tobacco, sugar, alcohol and processed foods. • Ossowski is a Canadian journalist living in Vienna. He is a programme director for Students For Liberty. Published in South African business newspaper Business Daily.